My eeePc is minty fresh! I went to Eeebuntu and stayed there for a while. After the not so successful experiment with Win7 which was to be expected of course, I returned to eeebuntu. I had grown to like it. Trustworthy, fast, and would cover all my NetBook needs. I was on version 3 and there was talk about a version 4, which eventually became known as Aurora. They dropped the eeebuntu project and they promised huge innovations in style and functionality. Since there was no ETA, I decided to stick with version 3, until Aurora came out. A colleague had handy a Mint 9.0 Isadora live DVD (the GNOME version, already on a USB) so I grabbed it and started installing. Had I downloaded an ISO myself, perhaps I would have also tried the LXDE version, at least for a peek, but hey, GNOME’s nice so I did not complain. The installation was flawless, quick and problem free. I was a bit concerned if I would have to find and install drivers for the WiFi, or other hardware, but to my amazement, everything worked out of the box! The only thing that did not work, was two finger scrolling on the touchpad, but that is no big deal. I haven’t tried to find a solution for this yet and I am not sure I will try to. The only additional feature I installed so far, was Gnome-Do. Do, is a launcher that has some very interesting capabilities. You see, eeebuntu offered a very nice mac looking dock-bar, and I was getting used to it. Mint on the other hand had none such feature pre-installed and while I was searching for a dock-bar, I stumbled on Do. Hitting the [Win] key and [Space] will bring up the Do interface and all you have to do, is start typing the name of the application you want to execute. For example, if I were to type “fire”, it would show me FireFox’s icon and if I pressed [Enter], FireFox would start. That simple! The only catch is, that you have to know what you are looking for. Do also offers a lot of plug-ins, from file searching to history searching to Twitter updates, but I haven’t explored all of that yet. So far, Mint seems (if that is ever possible) much faster than eeebuntu. Less boot up time, faster application launching (even Gimp) and quicker shutdown. Minty fresh! UPDATE: If you go to Preferences : Mouse, you can activate or deactivate 2-finger scrolling… It was THAT simple…. You thought it was over, didn’t you? From windows to SuSe, to EasyPeasy, I’ve been trying to find which OS suits me best for my little friend and now, I’m back with one more experiment: eeebuntu! I liked EasyPeasy. It was fast, neat looking and most of all it did the job, save for one little thing. Network Manager. Now, I have absolutely no idea why it happened, but if it would lose a connection, it faced difficulties reconnecting to a network and some times it would require a reboot. Depending on where I was, this was not necessairily a problem, but anyway it was not a feature I chose to have, right? I needed to have my eeePc working, so I went back to using Suse. Suse has a very nice design, lots of eye-candy and functionality, but it is not suited for 900MHz and 1 GB of RAM on an SSD. It was terribly slow. Another distro please! After some digging around, I came across this useful article where Pale Heretic lists 5 linux distros suitable for a netbook. 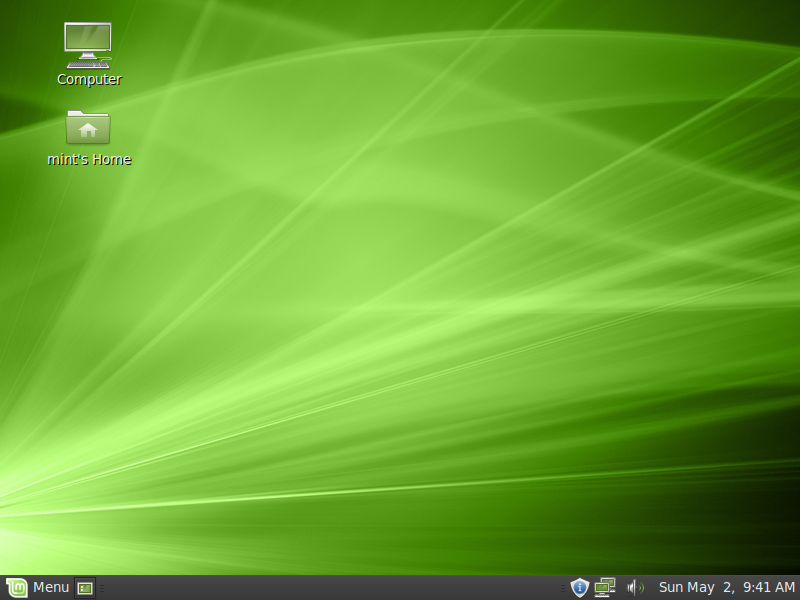 Having already tried two of them, Suse and easy peasy, I had three more alternatives: Mandriva, Fedora and eeeBuntu. The three e’s in eeeBuntu, made my dillema pretty clear. I went for eeeBuntu. When you visit eeebuntu.org, you are greeted with a set of three options, as to which flavour of eeebuntu you want to install. Normally one would choose NBR, which features a design similar to that of easy peasy. I wanted something that looks more like a “real” desktop so I chose the standard version. There’s also a base version, with little extras, so you can add as many programs you want yourself. I downloaded the iso and made sure the MD5 was correct. Since we are talking about an OS, you want to make sure you don’t have a corrupted download! There are many programms that calculate MD5 sums, so google away! You now have two options to install eeebuntu on the eeePc. 1) Burn the ISO on a disk and find an external drive. 2) Transfer the ISO on a USB stick. Since I do not have an external DVD-ROM drive, I had to choose the second option. Thankfully, there’s UNetbootin, a tiny programm that transfers a Linux Distribution onto a USB drive! Neat! You want to choose the second option and point to the right letter for your USB. No need to say that all data you might have on the drive will be lost, right? When the procedure is over, you only need to plug the USB drive, reboot your eeePC and boot from the USB. What you have on your screen now, is a Live Version of eeebuntu, which means, nothing was changed on your hard drive. You can play a little bit with it, see if it suits you and if you decide to do so, just double click on the install icon on the desktop. The installation procedure was easy as abc, I just had to choose the “Use Entire Disk” option and that was all. Everything worked out of the box, I only had to tweek some appearance settings, desktop wallpaper and the like.